Which statement is true concerning the effect of the application of carburetor heat? 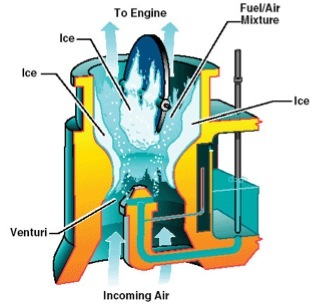 It leans the fuel/air mixture. It enriches the fuel/air mixture. It has no effect on the fuel/air mixture.